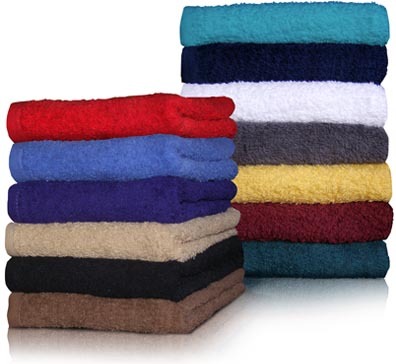 TowelsOutlet.com - 16x27 Economy Hand Towels by Royal Comfort 2.7 Lbs per/ dz. weight. 16x27 100% cotton hand towels that matches our Royal Comfort 13x13 washcloths and bath towels. Whether your looking for everyday use or to stock up for your salon/spas.